The day my children were born is so very special, for that was the day I realised just how much love I had to give and how much I had desperately wanted to be a mum. My children are my world. I live for them. I recently came across a story which touched me emotionally and I have been given permission from the family to share their story. This is Harry, a happy healthy 5 1/2 year old. Our son Harry was 5 1/2 when he died. Prior to his death he was a perfectly healthy little boy with a huge personality! He became unwell in March 2009 and after a visit to the Doctors we were told he had a virus. The next day he was admitted to hospital as he was struggling to breathe. After being given a nebuliser and oxygen his condition improved overnight and it was assumed he had an asthma attack. Harry had been previously diagnosed with very mild asthma, he had never suffered any major attacks or been admitted to hospital, or in fact needed any particular medical intervention other than the occasional use of a pump. Despite the hospital assuming Harry had suffered an asthma attack, no further tests or x-rays were carried out and they were keen to send Harry home. However, a little later after the oxygen and nebulisers were removed, Harry’s condition deteriorated. He was put back onto the original treatment of oxygen and a nebuliser but he became very disorientated and agitated and collapsed in my arms, turning blue with his eyes rolling. He was eventually resuscitated, placed in a medically induced coma, hooked up to life support and transported to another hospital with a specialist paediatric unit 50 miles away. He remained on life support and we were constantly assured by the medical staff that Harry would be fine once they managed to clear his lungs, one of which had collapsed due to a build up of secretions. Two days later after no apparent change in Harry’s condition we were hit with the news that a brain scan needed to be carried out. As you can imagine this was a total shock to us. The results of the tests showed that Harry had suffered massive brain stem damage and once he was taken off of life support he would not survive. Further legally required tests were later carried out which confirmed this diagnosis. 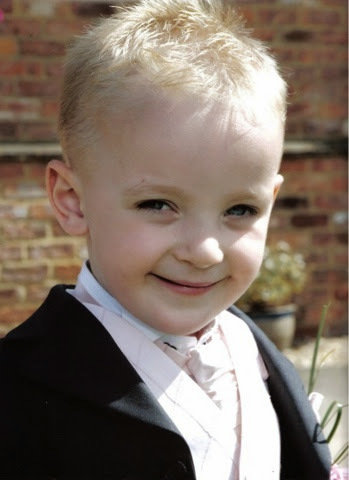 Harry’s life support was switched off on 31st March 2009. We chose to donate some of Harry’s vital organs which went on to help three people enjoy a better quality of life, an 18 month old baby, a teenager and believe it or not an adult as well. Harry was such a caring giving person we believe this was the right decision to make. FOR JUST 79p YOU CAN DOWNLOAD YOUR COPY OF ‘ONE MORE ANGEL’ YOUR MONEY WILL GO TO HARRY’S RAINBOW CHARITABLE TRUST. YOU CAN DOWNLOAD IT HERE FROM THE APPLE ITUNES STORE. That's such a heartbreaking account, RIP Harry, and I hope they raise a lot of money in his memory! Heartbreaking! Such a beautiful little boy. You just can brig to imagine something like that happening to you or your family. Poor Potato has just been squeezed into an extra tight cuddle!